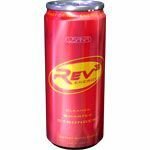 Rev3 Energy is all the power of an energy drinkrefined. New discoveries are made virtually every day in the field of health and nutrition. The following resources have been assembled to keep you apprised of the latest developments and help you make informed decisions about how to achieve optimal health. Weekly articles from our resident scientists provide valuable information to help keep you informed of the relationship between nutrition and health. 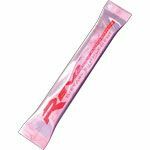 A list of recent bibliographic references and selected abstracts (from peer-reviewed journals) that discuss the health benefits of nutritional supplements. Original research posters and bulletins provide valuable health information derived specifically from official clinical trials and recent clinical research. An imbalance of oxidants and antioxidants within the human body (in which either oxidants are high or antioxidant protection is low) will lead to a state of Oxidative Stress. Read about the unique assay - designed by USANA scientists - that can be used to accurately detect an individual's antioxidant status. A team of scientists from USANA's R&D group presented this abstract at Experimental Biology 2007 in Washington, DC.